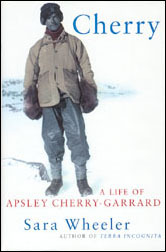 After serving in the First World War Cherry was invalid home, and with the zealous encouragement of his neighbour Bernard Shaw he wrote a masterpiece. The Worst Journey in the World frees Scott's story from the shackles of its period and ushers it into the immortal zone. Since first publication in 1922 the bitter brilliance and elegiac melancholy of Cherry's prose has touched the hearts of hundreds of thousands of readers. In his work Cherry transformed tragedy and grief into something fine. But he was to find that life is more complicated than literature, and as the years unravelled he faced a terrible struggle against depression, breakdown and despair, haunted by the possibility that he could have saved Scott and his companions. This is the first biography. Sara Wheeler, who has travelled extensively in the Antarctic, has had unrestricted access to new material and the full cooperation of Cherry's family.